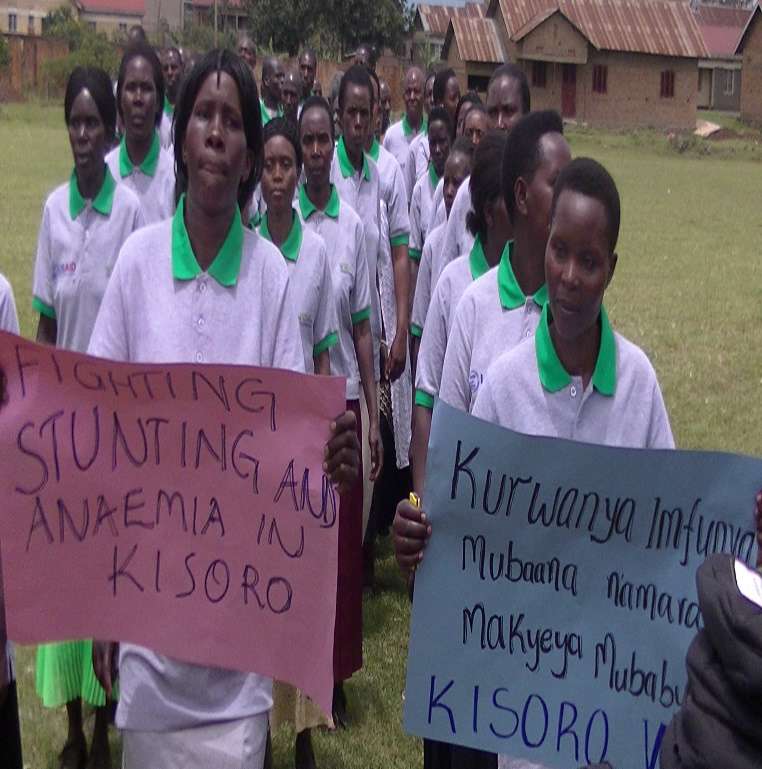 SPRING/Uganda recently launched an innovative campaign called “Great Mothers, Healthy Children” in the Kisoro and Ntungamo districts of Southwest Uganda. The campaign contains video testimonials designed to influence the nutrition practices of mothers, fathers, and grandmothers of children ages 0-23 months, focusing on exclusive and continued breastfeeding, feeding a sick child, feeding a recovering child, and seeking medical care. 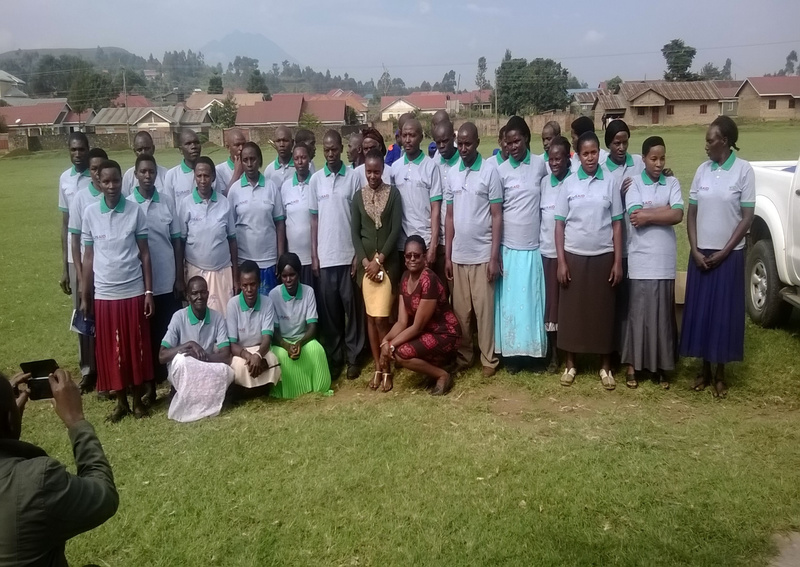 SPRING/Uganda trained 216 Village Health Team (VHT) members to educate the grandmothers, mothers, and fathers using the video testimonials in their respective villages. 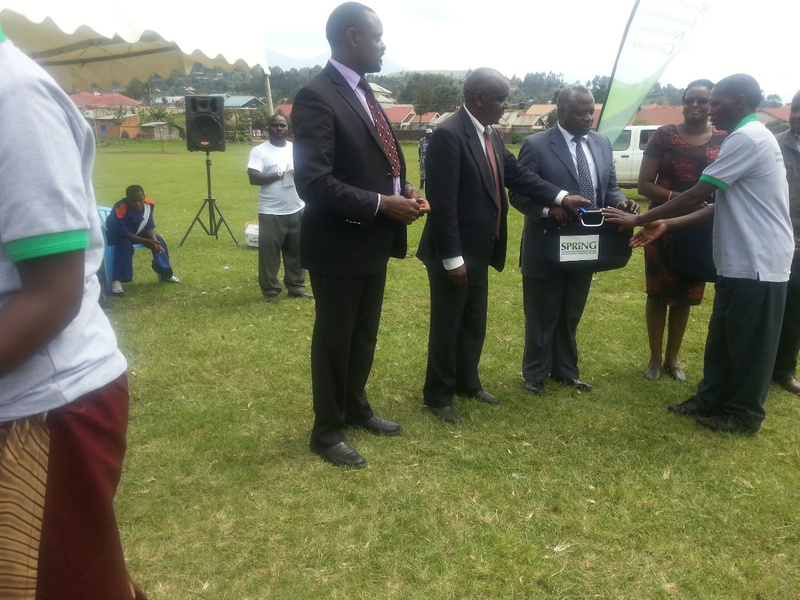 In his opening remarks at the launch of the campaign, the Ntungamo chairperson expressed his support of the campaign to reduce malnutrition in his community: "Since the efforts are targeted towards helping the mothers and children in Ntungamo, we as a district, shall support every effort." 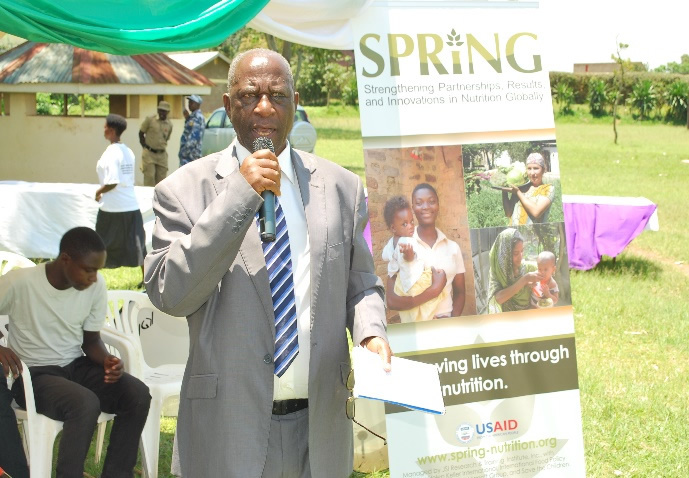 During the launch, one of the VHT coordinators in Kisoro district spoke about how SPRING’s nutrition training has impacted his life and the changes he has experienced because of the campaign. “The nutrition knowledge we have attained has helped us change our own households—we practice what we preach," he remarked. He also said that his facilitation skills have improved greatly. 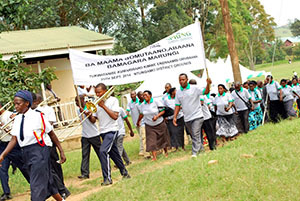 The launch of the “Great Mothers, Healthy Children” campaign is an important step in the fight against malnutrition and stunting in Uganda, especially since, according to the Uganda Demographic Health Survey 2011, 41.7 percent of children under five years old in Southwestern Uganda, where Kisoro and Ntungamo are located, are stunted, compared to 33 percent nationally. To learn more about SPRING/Uganda’s community-level activities, click here.